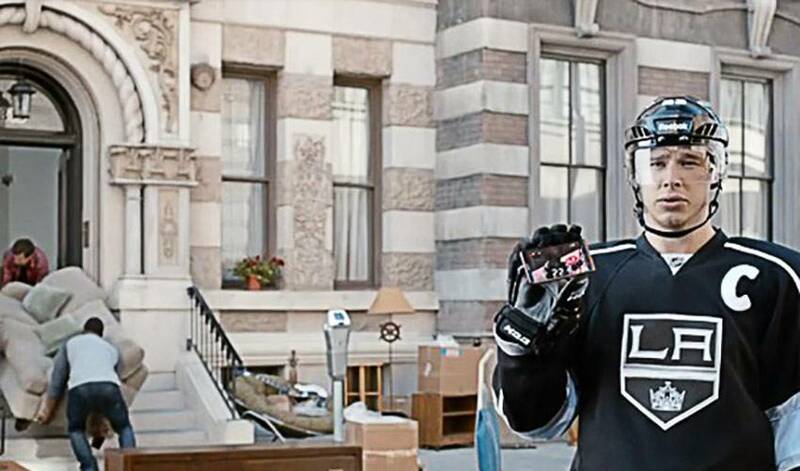 In this comical commercial for Verizon GameCenter, captain of the LA Kings, Dustin Brown, explains why you don’t have to experience #FOMOH (fear of missing out on hockey). Imagine your friend asks you to help them move the same day your favourite team is playing. You’re obligated to help your friend, but as the afternoon turns into evening with no end of packed boxes in sight, you begin to experience the phenomenon known as #FOMOH. Fear of missing out on hockey. What’s a diehard fan to do? Dustin Brown, captain of the Los Angeles Kings, has an answer. In a funny new PSA-style ad for Verizon Wireless, Brown pops up in this exact scenario to explain that downloading NHL GameCenter on your Verizon device is the solution to fighting #FOMOH so you never have to worry about missing out again.